.map() creates an array from calling a specific function on each item in the parent array. .map() is a non-mutating method in that it creates a new array as against mutating methods which only make changes to the calling array. This can be tricky to remember. Having code like sweetArray.map(makeSweeter) makes that a bit more readable when you jump into this code. 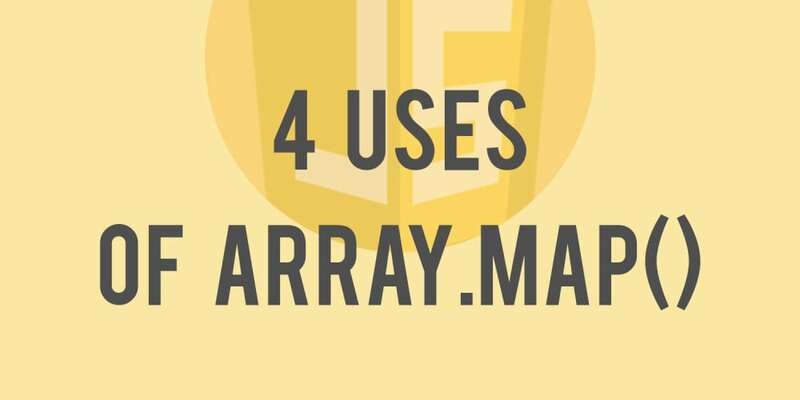 .map() is known to belong to the Array prototype. How about we use it to convert a String to an Array. Not to worry, we are not developing the method again to work for strings rather we will use the special .call() method. .call() can be passed arguments of, the context to be used, and "parameters for the arguments of the original function". Sounds like gibberish? Here&apos;s an example. Here, we simply used the context of .map() on a String and passed an argument of the function which .map() expects. Voila! We have a wolf-lang looking characters in our console. Yikes! This functions like the .split() method of a String only that each individual string characters can be modified before being returned in an array. Are you unfamiliar with React? This is a simple stateless component in React which renders a div with a list. The individual list items are rendered using .map() to iterate over the names array initially created. This component is rendered using ReactDOM on the DOM element with id of root. All we did is simply modify each object in the array using the bracket and dot notation. This use case can be employed to process or condense received data before being saved or parsed on a frontend application.